Sweet Dreams is a series from Quilting Treasures. 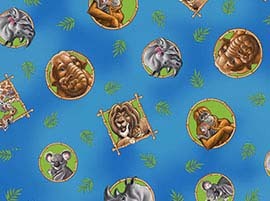 One repeat is 24 inches (2/3 yd). Please for by the repeat and in whole numbers. Shown is the full repeat. 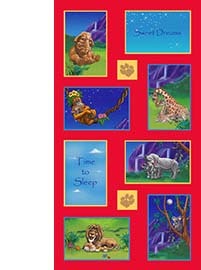 The "Time to Sleep" and the "Sweet Dreams" sections are about 11x7 inches each. Everybody has a baby tucked in.